This free online .pdf pattern is too cute! 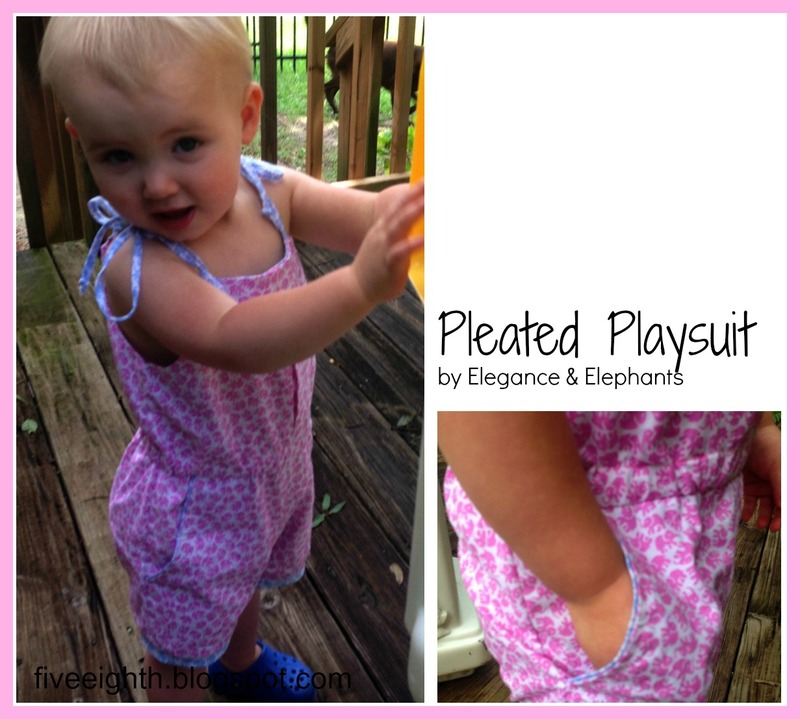 Elegance and Elephants: Pleated Playsuit ranges in sizes 18m-4T, and I think the fit is spot on. 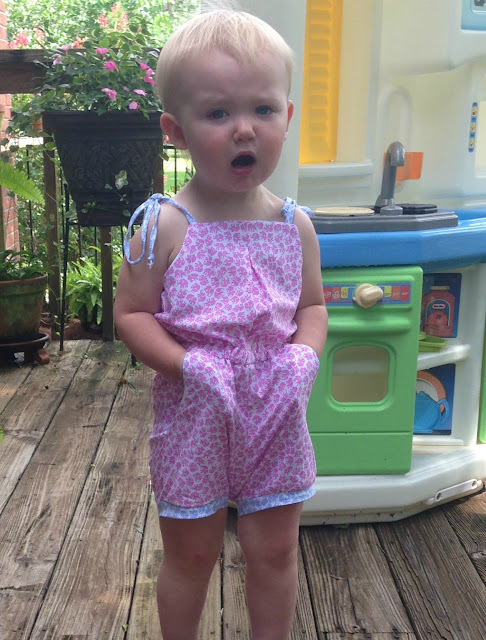 Most of the time, I tell people to make one size smaller for children because patterns usually run a little large. This one is correct or maybe even a little small. I made the 18 month size which fits her perfectly. I love this pattern so much; I already cut it out five more times! The first step in the playsuit is to make the shoulder ties. I’m not very good at sewing the spaghetti/string straps, so I sewed them right sides together with a 1/8 in seam allowance and then flipped them using a loop turner. It did take a little bit more time flipping them because they are so skinny, but I think the finished look is worth it. The front pleat is easy to do and makes the playsuit so special. I absolutely love it. I decided not to top stitch the facing down on the elephant playsuit; instead I used an edge stitch to stitch the seam allowance down to the facing as far as possible. Top stitching it down will not take away from the playsuit; I just did not want to stitch over the elephants. I did top stitch the other playsuits. Overall, I love the pattern and the flexibility to accent the details. You can change the fabric for the pockets or just the lining inside. It's the perfect play outfit. My daughter is always rolling, flipping, falling, flopping, jumping, dancing, spinning. 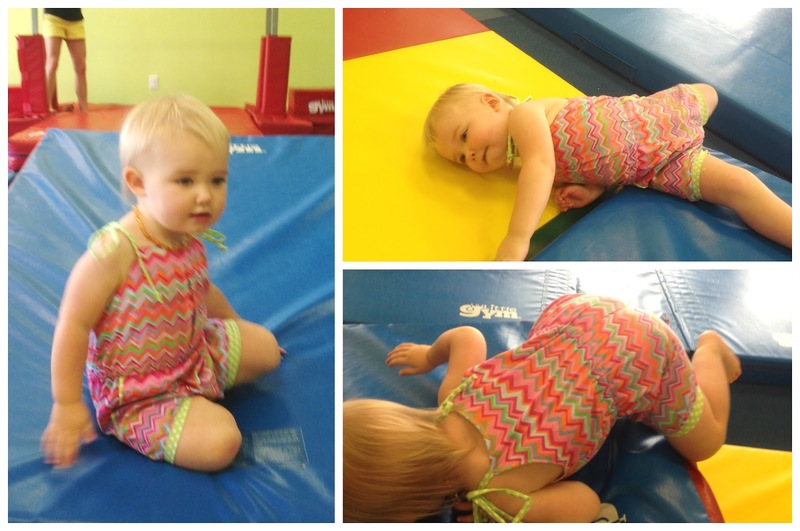 This playsuit has been perfect for all those things, she loves wearing it to the Little Gym!